Rosemary Allen Hailey Henderson, age 74, of Aurora, Missouri, passed away at 8:56 a.m. on Friday, January 4, 2019, at the Aurora Nursing Center. 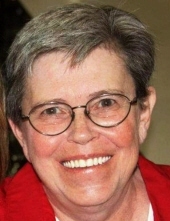 She was born December 11, 1944, in Berkeley, California, the daughter of Homer Amos “Pete” and Lola Viola (Hall) Allen. Rosemary was a 1962 graduate of Aurora High School. She worked for 10 years (1965-1975) at the Barry-Lawrence Regional Library at the Monett and Marionville branches and worked for 40 years at the Lawrence County Record in Mt. Vernon, Missouri. She was the charter president of the Mt. Vernon American Legion Auxiliary Unit 137, on the original committee organizing the Aurora all-school reunion, served 10 years as the Fire Chief of Marionville, was involved with the relay for life and the Holiday Central committee in Mt. Vernon, was on the Aurora City Council and was a member of the Mt. Vernon First Presbyterian Church. On November 10, 1978, she married James Boyd Hailey in Marionville, Missouri and he preceded her in death on April 12, 2002. On October 2, 2002, she married Ronald L. Henderson, in Cancun, Mexico and he preceded her in death on April 6, 2004. Rosemary is survived by five step daughters, Mary Girshner of Rogers, Arkansas, Mary Stromberger of Fort Collins, Colorado, Beth Ginter of Olpe, Kansas, Valerie Walts of Boise, Idaho and Grace Sabo; two stepsons, James B. Hailey Jr. of North Carolina and Matt Henderson of St. Louis, Missouri and 12 grandchildren. Her parents, Pete and Lola, and both husbands, James and Ronald, preceded her in death. A memorial service, under the direction of the Crafton-Cantrell Funeral Home in Aurora will be held at 2:00 p.m. on Saturday, February 2, 2019, at the Mt. Vernon First Presbyterian Church. Burial will be at the Maple Park Cemetery in Aurora. As an expression of sympathy, memorial contributions can be made to any charity/organization which supports Parkinson’s research in care of the funeral home. To send flowers or a remembrance gift to the family of Rosemary Allen Hailey Henderson, please visit our Tribute Store. "Email Address" would like to share the life celebration of Rosemary Allen Hailey Henderson. Click on the "link" to go to share a favorite memory or leave a condolence message for the family.